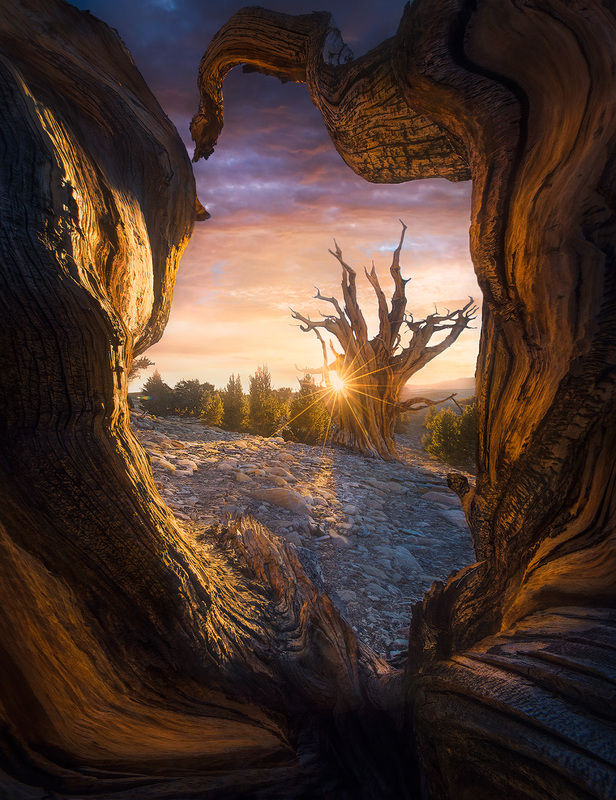 This incredible combination of Bristlecone Pine specimens represents the harmony between some the oldest living things on Earth, growing here atop this remote, otherwise desolate plateau at nearly twelve thousand feet. The tree in back is one of the largest I have ever encountered, the trunk being nearly 25ft wide in some places! I have spent months of my life wandering these groves here and across the Great Basin, but no other time in my career have I been able to make a shot that better captures the character of these incredible subjects, perhaps my favorites in the entire natural world. Photo © copyright by Marc Adamus.